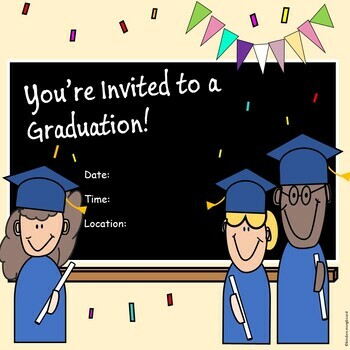 This Graduation Invitation is simple and easy to edit to your liking! It can be used for any primary grade level and comes in both color and black and white. 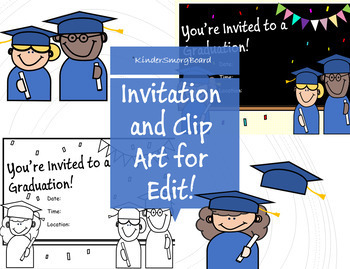 You also receive the clip art used within this invitation as a bonus! In my classroom, Students water color painted the black and white invitation and I laminated it to create a fun personalized invitation as a bonus keepsake for family and friends.